Due to a change in personal circumstances the owners of Café Español will be leaving Atkins Building creating an exciting new opportunity for a new café business to operate from Atkins Building. 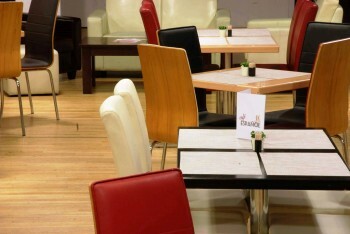 The Café area at Atkins Building is situated next to Atkins Gallery and is in close proximity to North Warwickshire and Hinckley College Hinckley Campus and Hinckley Town Centre. It has high footfall from the users of Atkins Building, opportunities to cater for the conferences held in Atkins Building meeting rooms and private hire options The Café area at Atkins Building is 1700sqft plus a separate storage area of 170sqft and comes with furniture, outside decking area, kitchen fixtures and fittings and other food preparation items.